Woodlawn is honored to serve you with dignity and reverence in your time of need. “Our Family Helping Your Family” is at the heart of all we do. 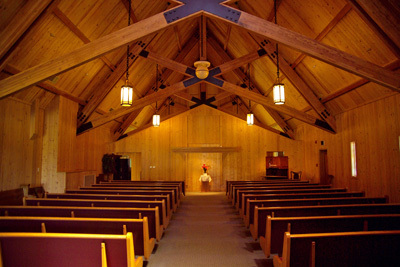 We are a family owned, full service funeral facility with a strong commitment to our community. Personalized customer care is our highest priority. We welcome all faiths, ethnic backgrounds and cultures. Woodlawn offers donated space for the Medical Equipment Bank. Woodlawn is available 24 hours a day. Woodlawn is a full service facility and offers direct cremation with free scattering in Deer Creek Scattering Garden (located near the Memory Wall). In Deer Creek Cremation Garden, your family can choose the natural setting where you would like to inurn your loved one. There are urn burial places near the pathway, beside trees, next to the creek, and near our natural rock waterfall. 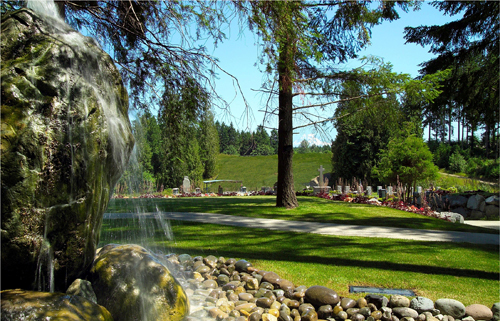 Click here to view the Cemetery Services Page.